• Foolproof will be open from noon-4 pm for tastings and growler fills. • Grey Sail will be filling growlers from 12-3 pm [and they’re low on 32-ounce growlers, so bring yours in]. 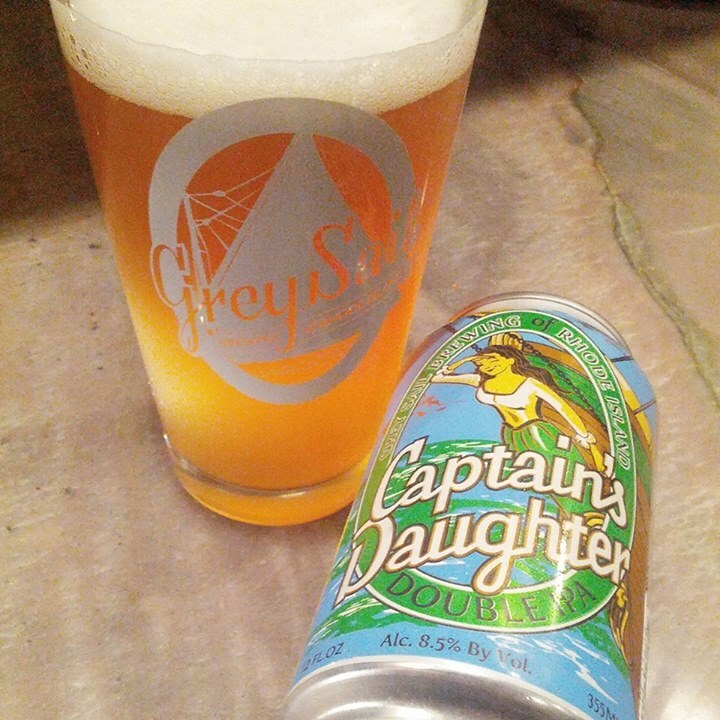 AND speaking of Grey Sail, the Boston Globe‘s Gary Dzen [@GaryDzen], whose “99 Bottles” column is a must-read, has a great piece on the brewery and Captain’s Daughter: “Grey Sail Brewing a happy find” [full disclosure: the “Rhode Island friend” is the person typing these words]. For updates and post alerts, follow Bottles & Cans at Twitter [@BottlesCansRI] and Facebook and/or sign up for e-mail alerts at the top of this page. Tell your friends!!! AND if you have beer news and/or feedback and/or comments, please share ’em at bottlescansclaphands@yahoo.com. Holding off on canning a bit, but it’s still coming. Some things kind of melted down at the last minute and we had to pull back. I hate announcing things and then reneging on them, but it happened. All of our $$ we have right now has gone into building more infrastructure at the current facility and making small upgrades to the brew system, adding a couple 10 bbl fermenters with temp control, adding more barrels, more kegs, a bottling machine for bottle conditioned/sour beers on the way, and building a larger bar with more taps that can handle a larger amount of visitors. We’ve expanded our capacity by about 5 times what it was before (we were obviously really small) and should max out producing a little bit over 1,000 bbl annually once we bring in the few more upgrades; 3 more fermenters (one of which will be en route in a few weeks), a small canning machine and lots more barrels. It will be a slower growth process than we had originally announced, however it will still be a growth process and we will continue to grow at our current location until we decide we can’t cram anymore stuff inside the existing facility. Come down and visit us, we resume Friday 5-8 hours and Saturday 1-5 hours starting this weekend. Pop a corked beer on New Year’s Eve! It’s 11:59 pm on December 31, and the champagne bottles are ready. The countdown begins, the ball drops, and the corks are popped. You may not feel any different when 2015 arrives, but you can add a great wrinkle to the celebration by popping by opening up a big bottle of beer sealed with a cork! Sparkling wine still has its place, but there is a wide and wonderful range of beers topped with a cork and a muselet [the wire cage that secures the cork] that will make the first few minutes of 2015 unique. We perused the shelves at I.M. Gan [380 Warwick Ave near the Warwick/Cranston line] to serve up suggestions for your untraditional toasting; most of the bottles cost between $10 and $20. 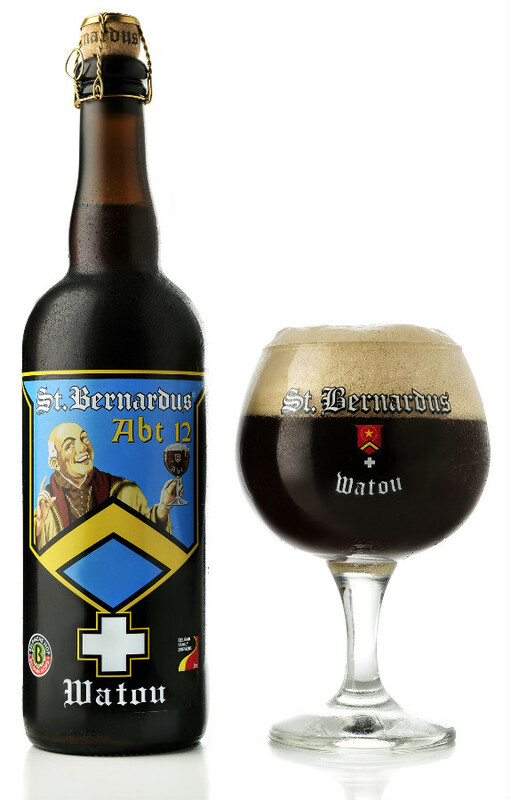 • St. Bernardus’s Abt 12 is a world-class Quadrupel [10% ABV] from the celebrated Belgium brewery. The dark brown beauty is sweet and smooth, with layers of banana, fruits, and a hint of chocolate. [Other corked St. Bernardus brews include Prior 8, a Dubbel, and Tripel, both 8%]. • Chimay has more superb Belgian options. The Trappist brewery’s Grande Réserve, a Strong Dark Ale [9%] and Première, a Dubbel [7%], are rightfully revered and highly rewarding. • Allagash of Portland, Maine offers some accomplished and alluring Belgian-inspired choices, including Interlude [9.5%], a Saison/Farmhouse ale; Victor [9%], a Strong Pale Ale; Dubbel [7%] and Tripel Ale [9%]; and Black [7.5%], a Strong Dark Ale. • Brewery Ommegang in Cooperstown, NY, also specializes in Belgian-style brews. Their flagship Abbey Ale, an 8.2% Dubbel is an affordable standout, as are Hennepin, a Saison/Farmhouse Ale [7.7%] and Gnomegang, a Strong Pale Ale [9.5%]. • Uinta of Salt Lake City produces big beers in its Crooked Line series. There are three terrific treats on the shelves: Labyrinth Black Ale, which is classified as an Imperial Stout [13.2%, aged in rye barrels]; Cockeyed Cooper, an American Barleywine [11.1%]; and Sea Legs, a Baltic Porter [8%]. • Uncork an explosion of hops with Weyerbacher’s Double Simcoe [9%]. The formidable Imperial IPA from the Easton, PA brewery bursts with piney hops and welcome bitterness. • Sierra Nevada has two current corked options: Barrel-Aged Narwhal, an Imperial Stout [12.9%] and Terra Incognita, an Imperial Brown Ale [9.8%] aged in wine and bourbon barrels; it was made in collaboration with Kansas City, MO’s Boulevard Brewing. • You can jumpstart the liquid-fueled giddiness of the New Year with Delirium Tremens, a Strong Pale Ale [8.5%] [which is celebrating its 25th anniversary] from Belgium’s Brewery Huyghe. Nocturnum, a Strong Dark Ale [8.5%], is another wonderful option for cork-popping. • The cynics among you will want to reach for Unibroue’s La Fin Du Monde — yep, that’s French for “the end of the world.” But after a few sips of the Belgian-style Tripel [9%] from the renowned Quebec brewery, you may be feeling better about 2015 and hope to make it through another month or two. 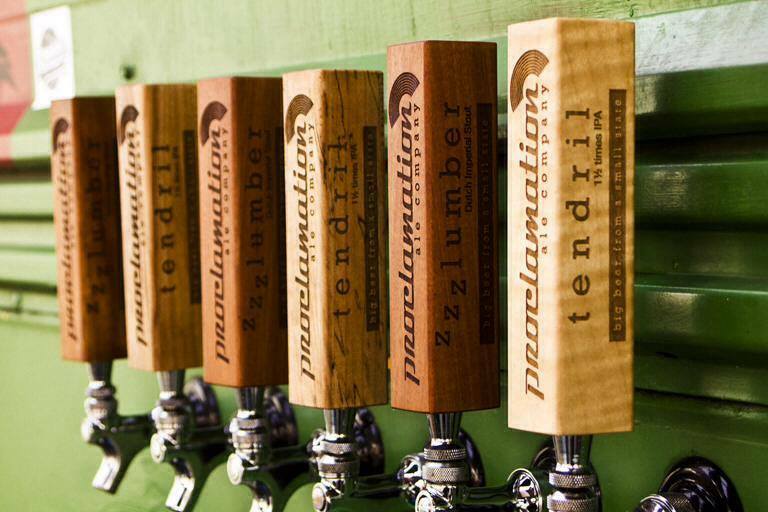 We will have Tendril and The Trickster available for growler fills next weekend and those 2 plus Plattelander available for tastings. Derivative is coming back soon as well, but it won’t be ready until the weekend of the Jan 9th. So, what else is going on with the upgrades we made? We have a bigger bar/tasting area, more taps installed for the future and the capacity to make more beer than we had earlier in 2014. We also have a lot more oak barrels and a bunch more stuff planned going forward…Hopefully, this means more/different beers available at the brewery and more taps in the state able to get our beer. Derivative: Our 6% ABV pale ale with tons of Galaxy Hops. Coming Jan 9th. Keraterra: We made our first batch of Kera since August which is fermenting away nicely in oak atm. Available in mid-February. Harper I: We will soon be bottling our first true sour ale which the base for was brewed in July, 2014. Harper I will be a reoccuring sour ale blended with fruit that will be rebrewed once a year in July for Dave’s daughters’ birthday. It will be released when it is ready…Harper I w/Blackberries will be bottled in late Jan/early Feb of 2015. Harper I w/Apricot will be bottled in March/April of 2015. There will be approximately 750 of each bottle produced in total in 500ML format. 1st Anniversary: A Belgian Dark Strong with Plums? Aged in oak? Don’t mind if we do. More details soon. Happy new year peeps. See you soon. Go to our October 29 item to read about Dave’s other plans for 2015. Happy 124th birthday to Narragansett Beer! 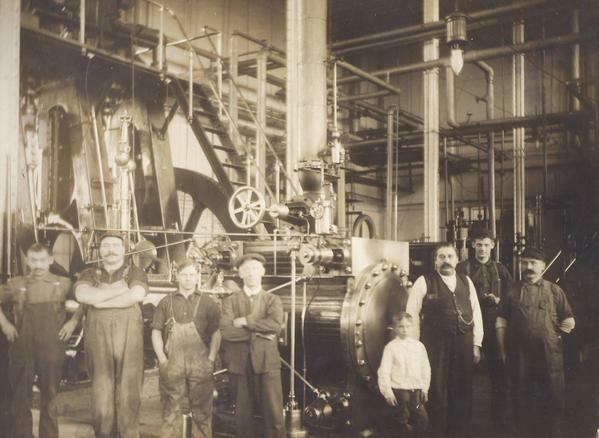 On this day in 1890, Narraganset Brewing Company opened for business in Cranston. The beer has a storied history: by 1914, it was the biggest brewery in New England, and its popularity peaked in the ’50s and ’60s, when it sponsored Red Sox broadcasts and its “Hi, Neighbor, have a ‘Gansett!” slogan captured its easygoing essence. But the brew’s rep quickly faded after its sale to the Falstaff Brewing Company in 1965; the Cranston plant closed in 1981, and the brand name got passed on to various entities. ‘Gansett was resurrected in 2005 when the corporate rights were sold to a group of Rhode Island investors led by Mark Hellendrung, who co-founded Nantucket Nectars. [Check out Ian Donnis’s 2005 Providence Phoenix feature, “The beer boom,” for valuable perspective on the brand’s history and revival and more local beer lore]. In the last decade, Narragansett has enjoyed steady and far-ranging growth: it’s now available throughout New England, New York, New Jersey, eastern Pennsylvania, the District of Columbia, North Carolina, Florida, Wisconsin, Nashville and Chattanooga, Tennessee, and Portland, Oregon. In 2013, it was No. 49 on the list of the best-selling US brewing companies. And it has generated huge buzz and sales with its mash-up collaborations with Autocrat [Coffee Milk Stout] and Del’s Lemonade [Shandy]. A hookup with Revival Brewing — Lovecraft Honey Ale — is due in January [Revival brewmaster Sean Larkin has also concocted the acclaimed ‘Gansett seasonal and one-off releases, including Bock, Fest, Summer Ale, Bohemian Pilsner, and Town Beach]. To commemorate the big b-day and in anticipation of the 10th year of ‘Gansett’s triumphant return, we asked Mark Hellendrung a few questions. And he answered them! 2015 will mark 10 years since you revived Narragansett Beer. What has been the most gratifying part of bringing the beer back to prominence? Social media is so great, [it] gives you a real window into what people are thinking. There’s not much better than seeing an excited tweet from someone across the country, pumped that a relative sent them ‘Gansett for Christmas. I can’t really point to one moment, but a series of moments, like when I have a ‘Gansett in some of the best bars or restaurants on the East Coast. We’ve come so far from the “nasty Narry” comments from when Narragansett shut down and was owned by someone else. So to get it back and find it in such awesome places is really gratifying. What are your plans for the brand in 2015? I’m pretty excited about the Lovecraft journey that we’re about to go on when we launch the first chapter with the Honey Ale on January 19. We’ve got a great lineup of styles mapped out with Sean Larkin that we’ll release over the course of the year. And we’ll likely open up a few new territories this year on the East Coast. And here’s the obligatory Q: Any news on the long-awaited Rhode Island brewery? Big news soon, stay tuned — a couple of I’s to dot and T’s to cross. Here are some pieces to peruse while you pretend to be working . . . .
• The Highest Rated Beer From Every State @ Cool Material [“Some of these you can find in bottle shops, some you have to head to the brewery at a certain time for, and some will never even be brewed again, but each is worthy of some praise.”] Spoiler alert: Grey Sail’s Captain’s Daughter is the Rhode Island entry. Fresh cases of the double IPA were canned on December 22; it’s already in some select stores, and will reach the rest of the market this week.